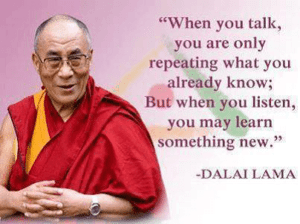 Do you listen … or do you wait to talk? Usually as riders we tend to talk and “send” a lot. As trainers we request all sorts of specific responses and physical achievements of our horses. To safely ride on the trail, to create healthy biomechanics or maybe to satisfy our ambitions in competition. 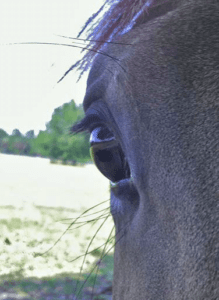 It is okay to expect a lot … but when you want to be partners with dignity – you want your horse to play this game with you – you need to be willing to wait for, and listen to your horse. With an open mind, so you can see, hear, feel and learn freely. With a mind and a heart like water. “Mizu no kokoro”, as they would say in the world of martial arts. Imagine a pond where the water is calm and the surface perfectly still. No stirring by wind, rain or movement under the surface. The water gives you a perfectly clear reflection of it’s surroundings, of what is really there. This is how we want our heart and mind to be when we are with horses: still, calm, relaxed, free of internal dialogue and judgement. 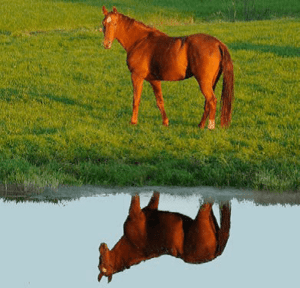 We want to see, hear and feel our horse as he really is, undisturbed by assumptions or disturbance. Water adapts to circumstances. It changes its flow or form as needed. 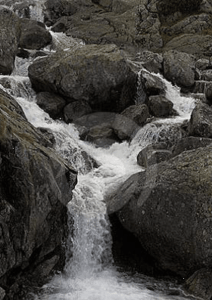 With a mind like water you will not get trapped in dogma’s or patterns from the past. You can adapt to what your horse offers. 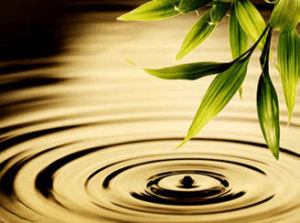 Accept it, harmonize with it, synchronize with the movement, join the flow and stay connected. If you fight it you will never really win. If you accept what is and stay connected, then you may change the way of the flow in another direction and find unexpected progress. It is the adaptable mind that will create the strongest partnerships.